Clash Royale leaked some ice golem gameplay today in the developer version of Clash Royale. Honestly, with this ice golem gameplay, the ice golem looks like it will be a pretty solid card in Clash Royale, costing only two elixir and providing a nice tank! Here’s a video showing some strategy and gameplay behind the ice golem! 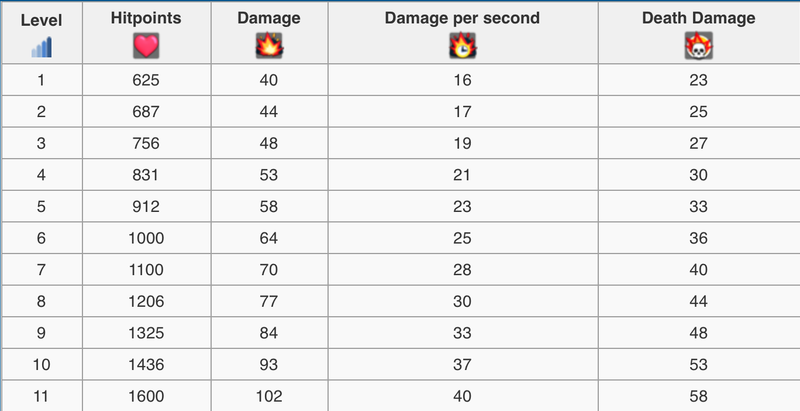 So yeah, based on that video it appears that the ice golem is pretty versatile and can do a lot in a lot of different decks. Most notably, the ice golem will fit well in cycle decks that would love to have a cheap shield for their deck. We will get into some great ice golem decks tomorrow! 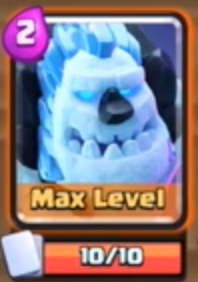 Once the ice golem gets maxed, he has as many hitpoints as a level 8 hog, for only TWO elixir! I think this card will be a great, but not OP addition to the game. Lets take a look at some ice golem gameplay now. The ice golem gameplay is great in the video above, but here are some quick glimpses of what the ice golem will be like in Clash Royale. This is the ice golem card; 2 elixir and surrounded by orange to indicate rare. Here is the ice golem in action. His movement speed is extremely slow and takes a while to get to the tower, so you need to have support units ready for when you play him. That’s all I have on some ice golem gameplay for right now, but we will be back tomorrow with some stellar ice golem decks for Clash Royale and pushing hard! For now, signing off, have a wonderful day! Pingback: Clash Royale Ice Golem Gameplay Released | Clash of Clans Guide, Strategies, Tricks and More!